Both Municipal and Orthodox cemetery were built on land where summer residences of Dubrovnik nobility once had been. 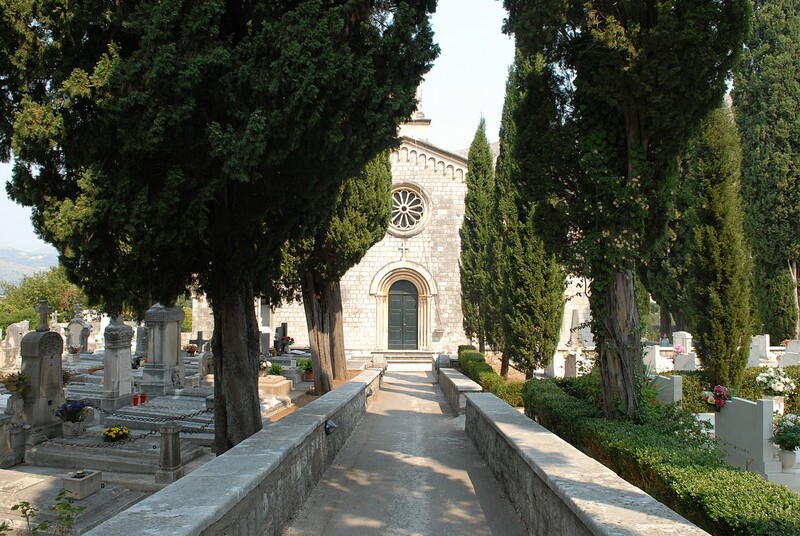 Cemetery Boninovo is owned by the City of Dubrovnik and managed by Boninovo d.o.o. It is a community and religious cemetery which covers 15.400 m2 of land and contains 1982 graves. It is protected by the Ministry of Culture of the Republic of Croatia, the Directorate for the Protection of Cultural Heritage and by the Conservation Department in Dubrovnik. Currently the conservation and preservation of Cemetery Chapel is taking place at the cemetery. Burials in cemeteries reflect the demographics of the population of the city of Dubrovnik. At the municipal cemetery of the Holy Cross, today in the main cemetery those buried are mostly Croats, but there is a small number of ltalians who settled in Dubrovnik in the 19th century. There has been a small number of Austrians, Czechs, Poles and other nationalities who moved to Dubrovnik during the Austro-Hungarian rule. At the Orthodox cemetery mostly Serbs are buried, but there is also a small number of Montenegrins, Greeks and Russians. Burials of Russians can be divided into two groups: one representing Russians who had stayed in Dubrovnik for business reasons or had been in transit, and several workers of Imperial Russian consulate in Dubrovnik have been buried there. The second, larger group, are Russian immigrants who had come to Dubrovnik after the Russian Revolution, of whom many acclimatized and permanently settled in Dubrovnik. At the Jewish cemetery only Jews and Croats were buried, with a few Jews of other nationalities (Austria, Hungary, Italy), who occasionally resided in Dubrovnik. At the Muslim cemetery mostly Bosniaks and Croats have been buried, with occasional individual burials of Muslim of other nationalities, eg. from Albania or Macedonia. At the municipal cemetery of the Holy Cross, which to this day has been the town's principal cemetery, almost exclusively Catholic residents were buried until the Second World War. There were individual burials of members of other communities, but their number is negligible and mostly represent the burials of a spouse of a Catholic. In the last fifty years burials of members of all faiths and atheists have taken place in the municipal cemetery, but due to religious affiliations of Dubrovnik population, burials with Catholic rites are prevalent. Given that up to the Second World War the Orthodox cemetery of St Archangel Michael had been confessional cemetery run by the Serbian Orthodox church. The burials were conducted almost exclusively for the members of the Orthodox church. Apart from that, a certain number of burials of members of Anglican and Protestant churches has been recorded in this cemetery. However, due to population who used the grave plots and for family reasons, today mostly members of Orthodox community are still buried here. At Jewish and Muslim cemeteries, burials are carried out mostly for members of the respective religious communities. The rare exceptions are usually a spouse or family members of Jewish or Muslim communities in cases when they are of a different faith. In the town of Dubrovnik, as well as in most European states, the establishment of first cemeteries occured in the first half of the 19th century. Residents of Dubrovnik had previously been buried in churches and monasteries and in their close proximity. During the occupation of Dubrovnik by the French in April of 1808, a decree was passed, prohibiting burials of the deceased within the city walls. However, the war and lack of space close to Town had not led to instantaneous establishment of new cemeteries. In the following thirty years, Catholic population, which made up the majority of the town's population, used the churchyard adjoining the church and convent of St. Mary on Dande as the principal burial ground. 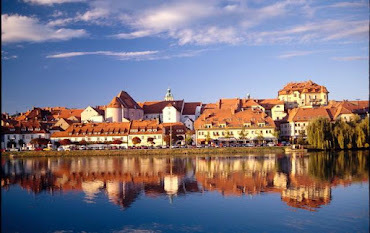 Only the Jewish population opted for a burial ground away from the town centre and in 1811 established a graveyard at Boninovo, northwest of the Town. In 1837, following several unsuccessful attempts at finding a new location, Orthodox Parish completed its new cemetery at Boninovo and the church of St. Archangel Michael. Apart from these two confessional cemeteries, between 1855 and 1860 the municipal cemetery was also established on its present location. In 1882 the cemetery was adjoined by a cemetery chapel of the Holy Cross built in Neo-Romanesque style. Eventually, in 1935, a small cemetery for members of the Muslim community in Dubrovnik was also established, which set the confines of the cemetery and its facilities. After the World War II, the local government took over the cemeteries' management from religious communities, and today the cemeteries are managed by a municipal utility company. It has not yet been established which architects and engineers influenced the design of the cemeteries at Boninovo. It can be assumed with high probability that it was municipal service engineers who operated these and other projects assigned to them in the field of urbanism and architecture. After the First World War, cemetery management was entrusted to Božo Bacelj, who maintained the high level of cemetery's design and landscape. Designs of grave memorials, in cases when they were not brought in from different locations abroad, which happened rarely, were influenced by local artists, such as drawing teacher and natural scientist Baldo Kosić, architect Ivo Ćurlica and sculptor Frano Kršinić. The largest number of memorials were made by local stonecutters and masons. In the Interwar Period, most graveside memorials were made in the workshop of Giovanni (lvo) Collonna, an Italian acclimatized in Dubrovnik who owned a thriving stone-carving business. Far from being just a skillful craftsman, some of his memorials demonstrate artistic talent as well. Other masons also worked on Dubrovnik cemeteries, namely Mauro Sagrestano, Mauro Martucci, Ermeneđildo Job, Vicenzo Capurso, Frano Kršinić, Mato Kršinić etc. That explains the many analogies between the monuments on the cemeteries of Dubrovnik. A peculiarity of Dubrovnik cemeteries is that both Municipal and Orthodox cemetery were built on land where summer residences of Dubrovnik nobility and citizens had been. During the Russian-Montenegrin siege of Dubrovnik in 1806, the town's surroundings were devastated, with many summer villas in Boninovo burnt, thus clearing the space which could potentially be used for other purposes. Subsequently the Orthodox cemetery was built in the garden of the summer villa of Pozza-Sorgo family, with the summer villa reconstructed and enlarged to make a sacral building, and with the central tree alley of the old summer villa converted into the main alley of the cemetery. The Municipal cemetery follows the same pattern; the main alley leading to the main entrance to the Holy Cross chapel was the alley in the former garden, and the chapel with adjoining rooms is a reconstruction of the burnt summer villa which had belonged to the Altesti family. The earlier use can be observed in today's cemetery walls which were actually the wall fences of former estates, and present-time, with the main gate of the municipal cemetery adapted from the preserved gate of Altesti summer residence. In conclusion, we may say that the complex of Boninovo cemeteries in Dubrovnik has gone through the stylistic stages of Classicism, Historicism, Modernism and simplicity prevailing in the second half of the twentieth century, almost devoid of any stylistic traits. Grave memorials were built in each of these styles, and apart from average monuments, there were also high quality creations in accordance with Dubrovnik standards. It is also worth pointing out a particularity and specificity of Dubrovnik which occur and prevail in this context - typical modesty reflected in town's architecture over centuries. The distinctive modesty of Dubrovnikers, be they Catholics, Orthodox or Jewish, was further demonstrated in their grave memorials in the 19th century. Just one walk through Dubrovnik cemeteries will suffice to attest this fact. While elegant, most grave memorials are modest and simple in comparison with those in cemeteries of similar merchant towns on the Adriatic coast - Split, Zadar, Rijeka or Trieste - such as spectacular mausoleums, magnificent sculptural works by famous sculptors, spacious parks and cemetery chapels. It is worth noting that the conversion of former summer residence district into modern cemetery space through the 19th century was pioneered by the town's minorities, first Jewish and then Orthodox communities, whose model of conversion of summer residence into a cemetery chapel and the garden into burial ground was followed by Catholic population twenty years later with the construction of Municipal cemetery. The choice of periphery proved to be a good one, although today the cemetery is situated almost in centre of the city of Dubrovnik. View The Boninovo Cemeteries in a larger map.